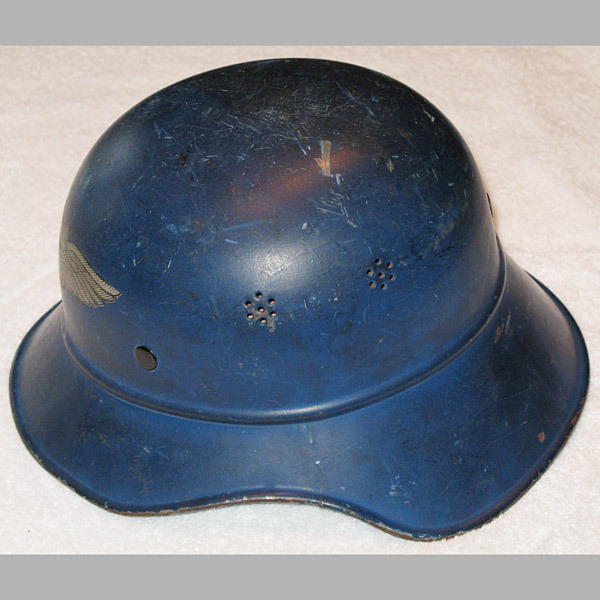 Luftschutz 3-piece Gladiator-style helmet, complete with original liner and chin-strap. 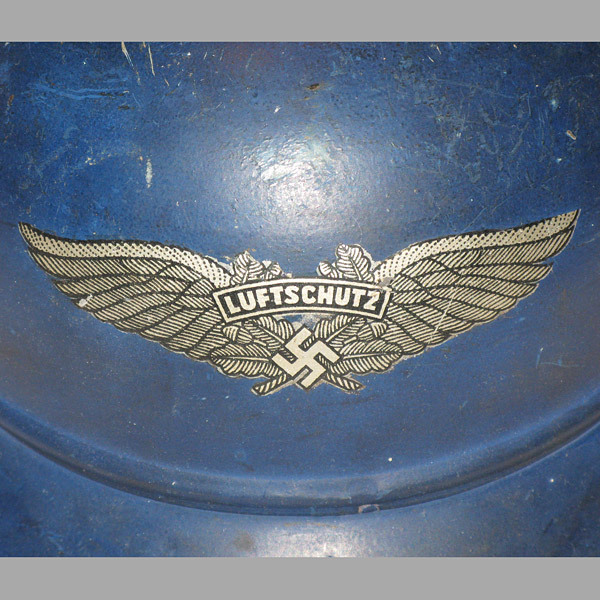 Everything about this helmet is absolutely beautiful! 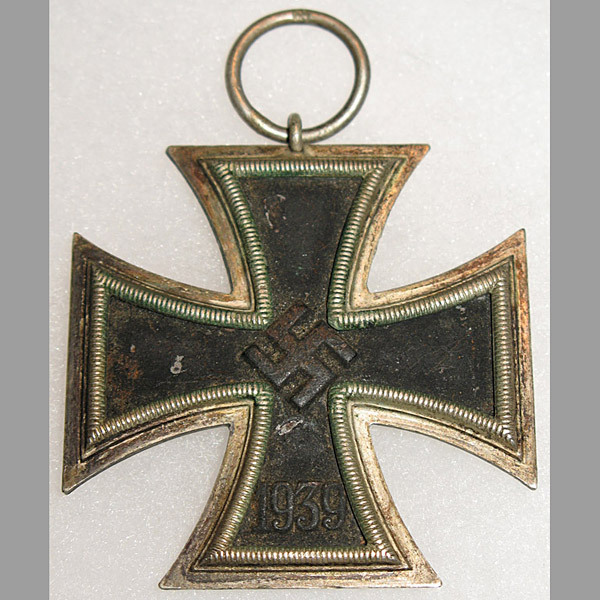 The chinstrap, though rigid and showing signs of age, is in extremely good condition. 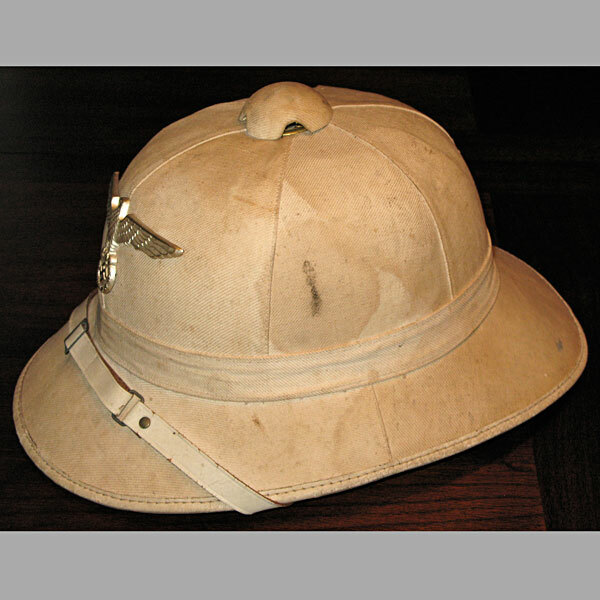 The liner is the same; aside from a fair amount of dust that was present at the time the helmet was acquired. Decal is 98%. Paint has average scratching and scuffs. 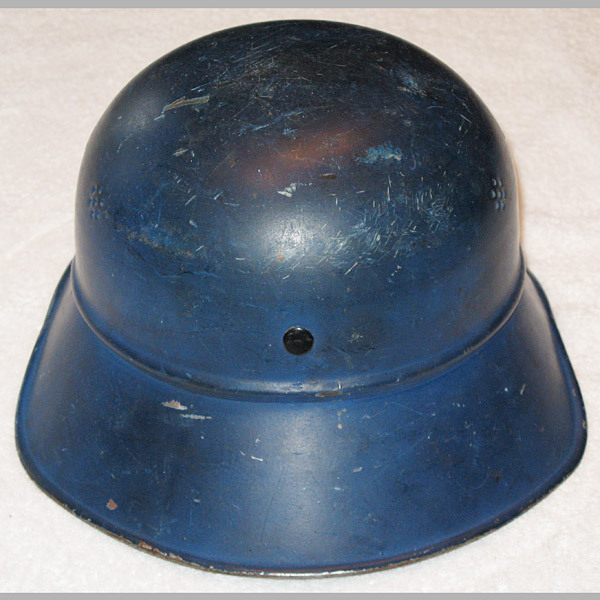 This is a very nice Luftschutz 3-piece Gladiator-style helmet, complete with original liner and chin-strap. 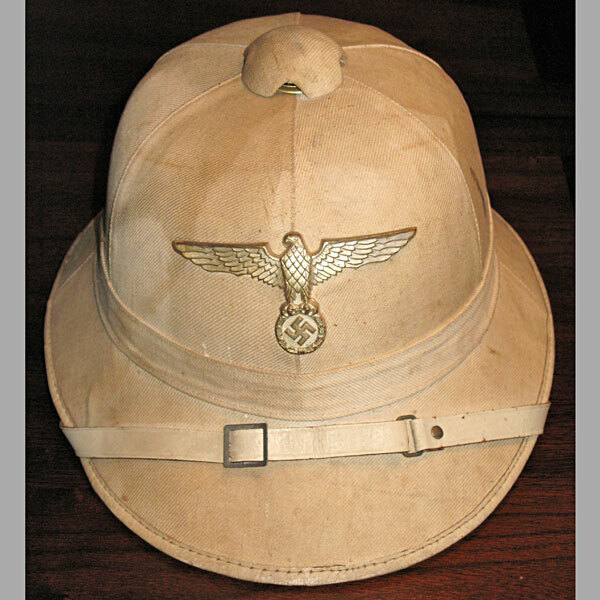 Everything about this helmet is absolutely beautiful! The chinstrap, though rigid and showing signs of age, is in extremely good condition. 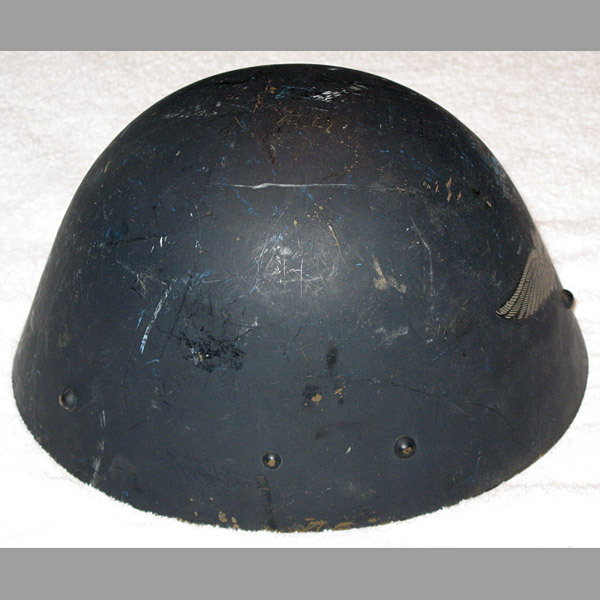 The liner is the same; aside from a fair amount of dust that was present at the time the helmet was acquired. Decal is 98%. Paint has average scratching and scuffs. 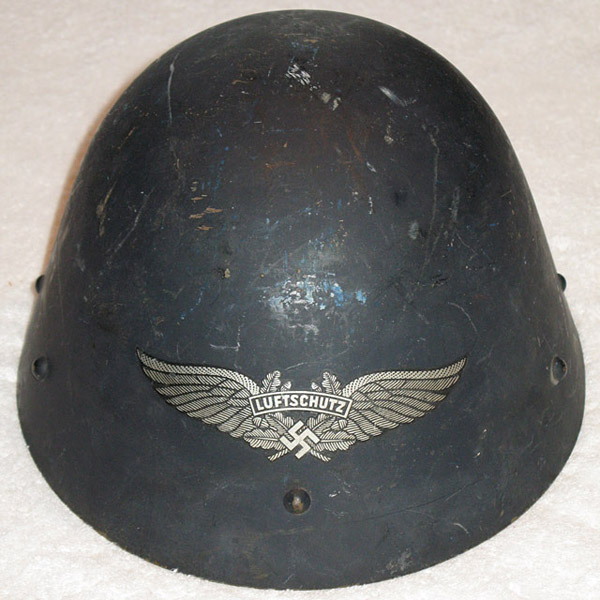 Great example of a complete and 100% original M40 Luftwaffe helmet with 95% of the second pattern, (Circa 1936/1937-1945), Luftwaffe eagle decal remaining. Paint is 98%, with only average scuffs and scratching. 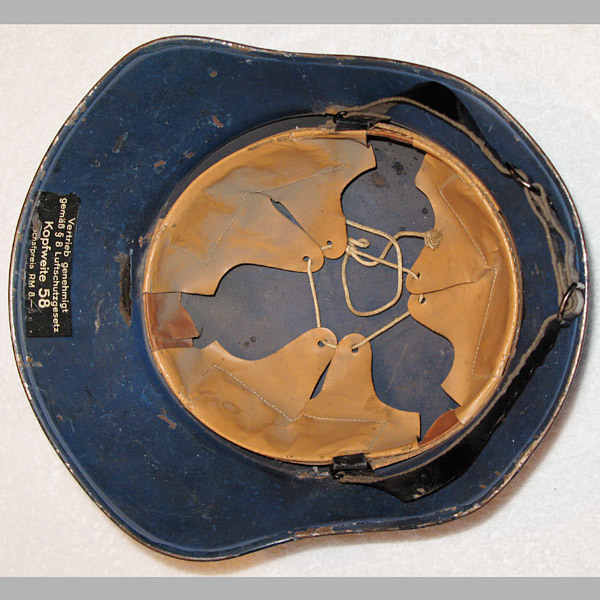 Original liner and chinstrap show signs of age, use, and wear, but otherwise very strong and completely in tact. 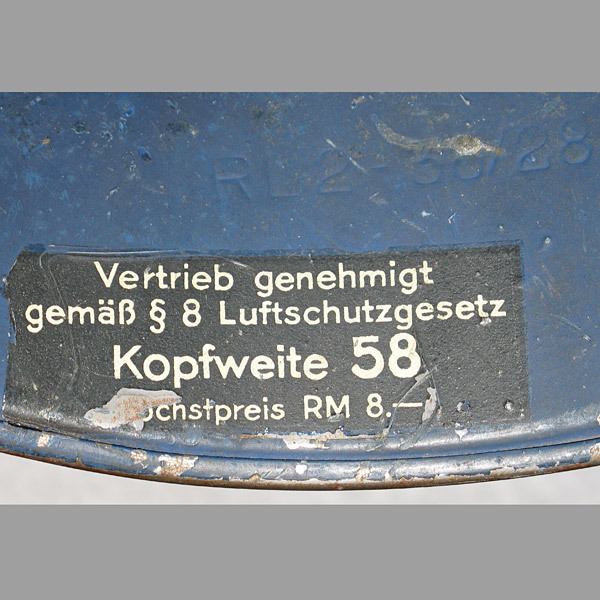 Manufacturer mark is “Q”, size 64.